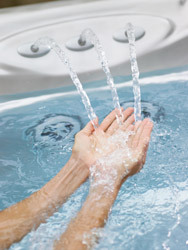 Teddy Bear Pool’s Spa Service department will service a variety of spas including Hot Springs, Tiger River, Hot Spot, Solana, Limelight, and Pacific Marquis. Those spas, currently under manufacturer warranty, can be serviced through our department as well as those spas that are no longer under warranty. To find out more about what we can do for you, please fill out our contact form, or call us at 413-594-2666 ext. 110 and we’ll get back to you as quickly as possible.